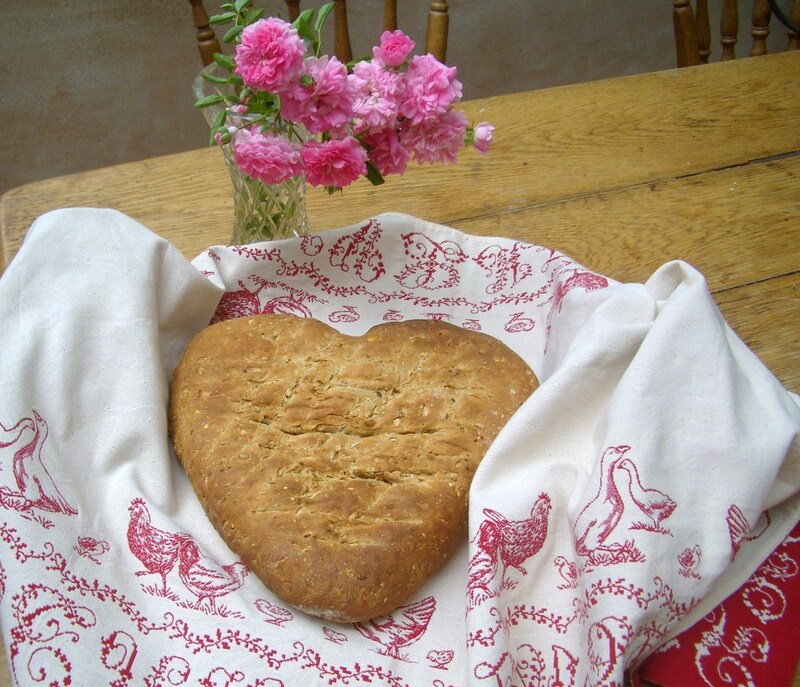 I have made some bread before, quite a long time ago, and really enjoyed it! Twisty chocolate bread. I decided to make some more the other day, although savoury this time and not covered in chocolate! My dad had made the same loaf of bread before but had put far too much seeds in which made everyone’s stomachs go slightly bad so, learning from his mistake, I endeavored to make it again myself. The result was absolutely delicious, the crust was perfect, not too hard and not too soft and the inside was nice and soft. 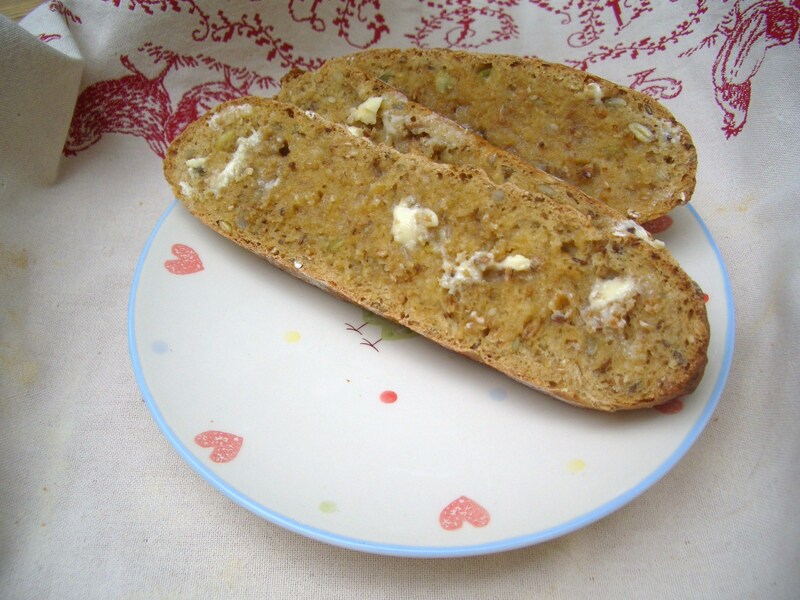 Perfect with some butter, strawberry jam and a cup of tea. 1. Mix all the ingredients together and turn the dough out onto the work surface, now for one of my favourite parts… the kneading!!! You have the option of using a mixture with a dough hook which does everything for you buuuuuuuuut I saw a good opportunity to get some exercise to tone up my arms and also I find that kneading dough is oddly relaxing. So knead by hand for 15mins or knead by machine (lazy!) for 10mins. 2. 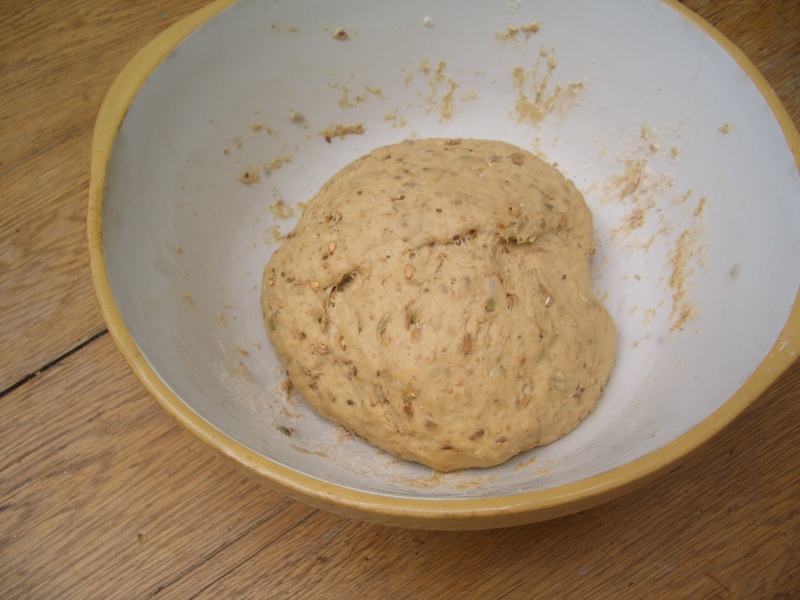 Once the dough is smooth and elastic, nestle it back in the bowl and cover it with cling film. Leave it in a warm place to grow twice its size or for about 1 hour. 3. By hand, shape the dough so it fits into a well-floured proving basket, or just a bread basket as I had. Cover and leave in a warm place to double in size again. 4. Heat the oven to as high as it will go, max 240C. 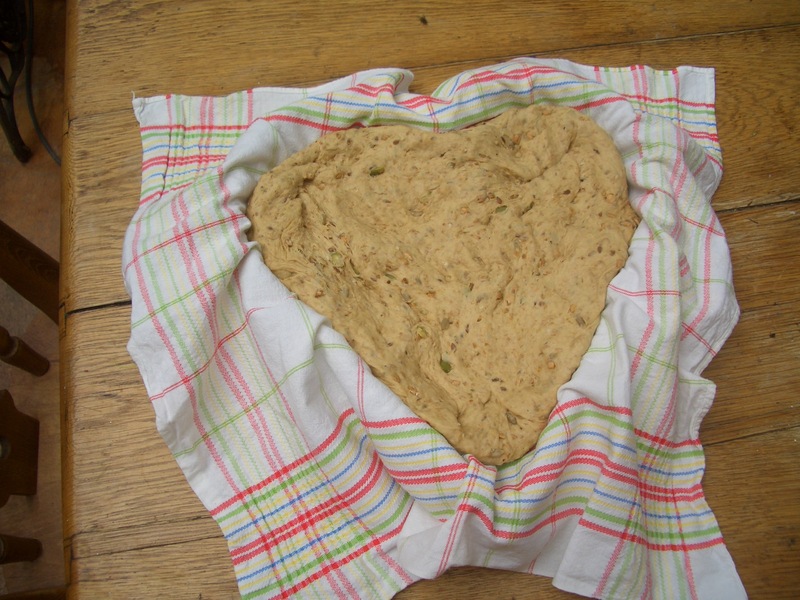 Turn the dough onto a well floured baking tray and place it into the extremely hot oven, hot hot hot! After 10mins, take a peek and see how it’s doing, then turn the oven down to about 210C. Take it out when it’s baked and golden all over, about 20mins later. Posted in Baking, Cooking, Food, Uncategorized and tagged bread, kneading, loaf, malted wheat flour, seeds, Six-seed malted wheat, The fabulous baker, yeast. Bookmark the permalink.